Bertie County records are compiled from recorded plats, deeds, and other public records and data. This data is for informational purposes only and should not be substituted for a true title search, property appraisal, survey, or for zoning verification. Bertie County assumes no legal responsibility for the information contained in this data. This data has been developed using public funds. The data is therefore in the public domain. Users agree that they will not sell this data, will not sell access to the data, nor will they provide for such to be sold except as allowed in NC General Statutes Chapter 132. 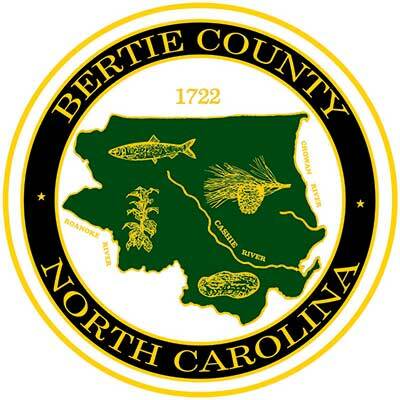 As a condition of providing access to electronic GIS data, Bertie County reserves the right to require that the user agree in writing that the data will not be resold or otherwise used for trade or commercial purposes. Bertie County reserves the right to license clients to reproduce GIS data for royalty fees based on the resale of the data and or based on a reciprocal agreement of products, services, or data. Map data is based on the North Carolina State Plane coordinate system, NAD83.